Heating solutions designed for both residential and commercial pools. Don’t let weather control your pool and spa enjoyment. 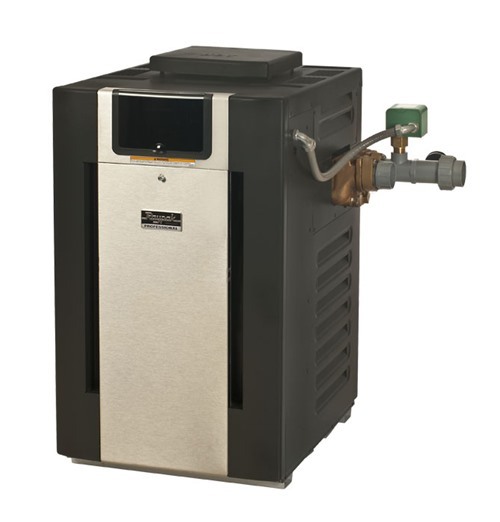 The greatest benefit of gas pool and spa heaters is that they heat your pool and spa in minutes or hours versus the hours or days required initially to warm the pool with a heat pump. Gas heat is ideal if you don’t use your pool or spa on a daily basis, and just want to heat your pool or spa as needed. Hayward’s gas pool heaters are environmentally responsible and lower the cost of ownership via its energy efficiency and reliability. The Universal H-Series pool heater line provides the most reliable heat solution choice for pool owners. 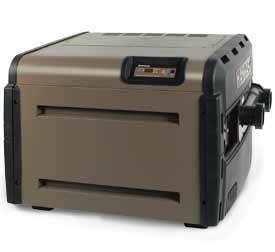 Hayward’s patented technology offers the lowest cost of operation when compared to competitors gas heaters. They come in a variety of sizes and are available in both natural and propane versions to match your household utilities. A unique advantage is its commercial grade cupro nickel heat exchanger. This distinctive feature defends against damaging water chemistry conditions, resulting in long-lasting value and dependability at no extra cost. Microprocessor – Control is more precise than mechanical systems. It controls temperatures for pool and spa settings and stores diagnostic information for service technicians. Stainless Steel – Is used liberally through-out the Professional series pool heater. Raypak spared no expense to ensure that any area that could be compromised by harsh environments would stand the test of time. Heat Exchanger – With brass headers and cupronickel tubes for maximum protection against the toughest pool applications. Excellent for salt chlorine generated pools. ASME certified & National Board Registered. Burner Tray – Constructed entirely of stainless steel. Every detail has been looked at, down to every nut and bolt, and made of stainless steel. This burner tray is built to last.